HeadStart Action provides bespoke support to young people aged 14-18 in disadvantaged areas, helping them to gain employability skills, aid in their personal development, and introduce them to social action. It was developed to work alongside the award-winning HeadStart London, our programme for 16-18 year olds in education which helps to bridge the gap between schools and employment. We felt we needed a programme that provided more tailored support to those with less opportunities. Following a successful pilot in Southwark (link to the below accordion) the programme has now expanded to Hackney, Haringey, Newham and Westminster, thanks to the Mayor’s Young Londoner’s Fund. It is a partnership between the Mayor of London, The Challenge, Inspire!, Groundwork and The Diana Award. We will soon be announcing our 2019 schools. For more information, please contact us. The programme was piloted in 2018 in Southwark, working with pupils from Ark Globe Academy, St Thomas the Apostle College and Harris Academy Peckham. The 16-week programme was delivered by The Challenge, collaborating with Football Beyond Borders and London Bubble Theatre Company in partnership with Lendlease. The programme was in two phases. The first focused on social action, with projects led by London Bubble Theatre Company and Football Beyond Borders. 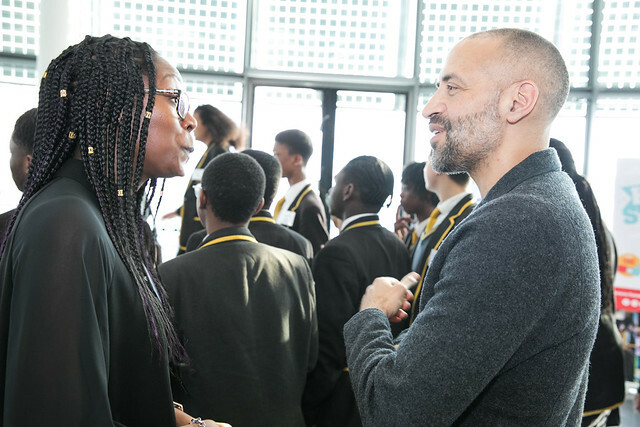 These projects taught the students of their own voices within their community and beyond, culminating in a showcase at City Hall in front of Matthew Ryder, previous Deputy Mayor for Social Integration, Social Mobility and Community Engagement. The second phase, delivered by The Challenge, focused on employability skills training and continued personal development. It reflected on what was achieved in their social action projects and how these achievements could fit into the skills employers look for. Employability skills workshops allowed students to discuss first impressions, communication and interview techniques, in preparation for Lendlease work placements. Finally, it encouraged young people to join the main HeadStart programme, so that continued support is available. Pupils at Ark Globe Academy showcasing their social action projects at an event held at City Hall, in front of Matthew Ryder, Deputy Mayor for Social Integration, Social Mobility and Community Engagement. Volunteering’s a great way to meet new people, gain skills and experiences to develop your career and make a difference. We help London's young people to volunteer and support schools with careers education & business engagement strategies.